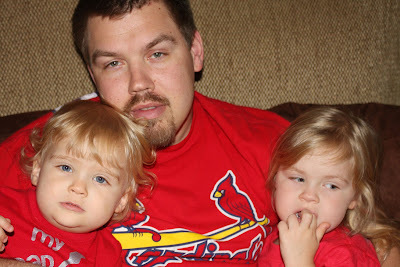 First of all you need to go to this post and see where we were at last year on Father's Day. Man, they've grown a lot! 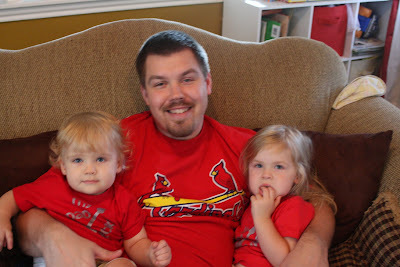 I guess making t-shirts for the kids to wear on Father's Day is my thing. I just need to think of what to do next year...but not yet, are you kidding me. I've got a year! 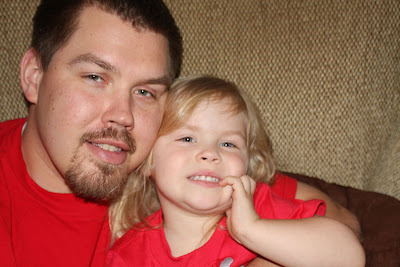 Here are some photos of my kiddos and their daddy on Father's day! Love you babe! I know it's blurry but it's cute! Man, do I have a hot husband or what?! !